I absolutely love these pants I found at Marshall's! They're so comfortable and can go with so many different tops whether you want to dress them up or down. If you haven't noticed by now, half my closet is from Forever 21...haha. I've never been a big spender and Forever 21 has such cute stuff for great prices! Can we just talk about how fast this bump is growing these days?! Wowza. I've definitely been loving comfy, stretchy dresses like this one. Since this outfit is so plain on its own, I wanted to make things a little more exciting by throwing in a funky purse and a fun hair detail. So I grabbed my favorite animal print bag and added some braids in my hair. 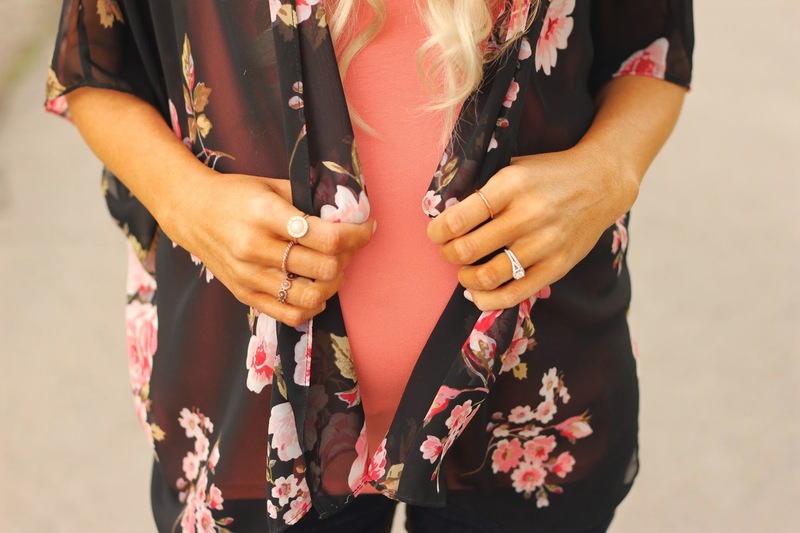 With such a simple outfit, it's fun to make it all about the little details. This is what I wore for Easter yesterday. I thought it was the perfect color for the occasion! P.S. A lot of people comment on my roots and yes, I know they're there and that they're really attractive, lol. My doctor doesn't want me getting my hair done quite as often since I'm pregnant so I always let my roots grow out for a little while before getting them done again. So yeah...das all.